This is your chance to win a Stainless BBQ Grill! 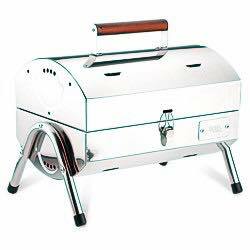 Who wants to win a Stainless BBQ Grill? The mechanics of winning this item is very simple! Every client who has worked with me has a chance to win the prize! All you need to do to join the raffle is to write a testimonial or review on our Facebook, Realtor.com, Zillow, and Yelp. Those who post on multiple sites have multiple entries! If you have already written a testimonial, you are automatically qualified and your chances will increase if you will write additional testimonial on other social media sites mentioned above! See how to write a testimonial on the various sites below. The deadline is January 30, 2018 and the drawing will be made at the next day, January 31st! Good luck!